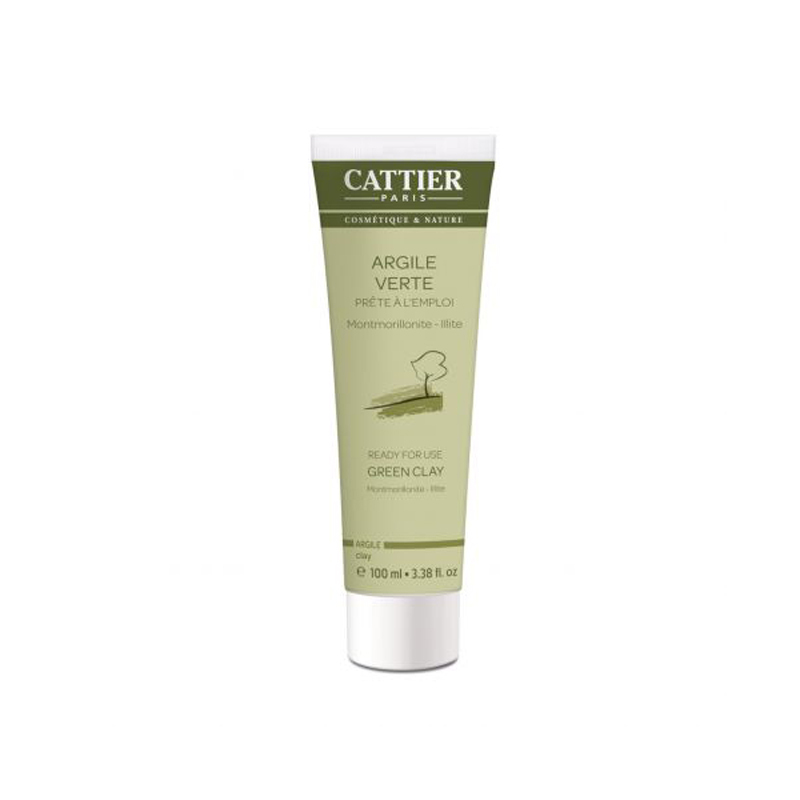 The superfine Cattier Green Clay is used in facial masks and in poultices for its benefits to the skin and the body. It can also be added to bath water to soften the skin. It is used alone or combined with essential oils. Absorbing, purifying and regenerating, the Cattier green clay is particularly well suited to the care of oily skin. It absorbs and regulates excess sebum, eliminates toxins and impurities, revitalizes the skin and promotes cell renewal. It is also antiseptic and soothing. Very rich in micro-nutrients, it provides the skin and body minerals and trace elements. The Cattier green clay, healing and Remine-ralisante, relieves joint and muscle pain, burns, sore throat (associated with the essential oil of lavender), abscesses, scars, skin irritations and as bloating and abdominal aches. Clay Pierre CATTIER: The clay is in the form of more or less important deposits, operated most of the open time. Selected, analyzed and then converted on a concrete drying area where it is spread. Clay Pierre CATTIER are Montmorillonites, dried in the sun (not the oil, or even the oven, because the high temperatures diminish much in the regenerative powers). The green clay montmorillonite, best of all, very rich in magnesium. Its adsorption capacity, purity make a clay of exceptional quality, far superior to the ordinary green clay. Apply the paste Clay a thick layer on the face and neck, avoiding the eyes and lips. Leave for about 10 minutes without allowing the mask to dry on the skin. Rinse with warm water, dry skin with a cotton towel and complete the treatment by applying a moisturizer. On an inflamed or congested area, the poultice is cool; if applied in order to revitalize and tone, it must warm up. So adjust the temperature poultice to your feelings, variable from one person to another. Poultice (warm and away periods of digestion) on the belly area, strong absorptive properties of clay make it soak intestinal gas through the skin. Arrange the dough Clay on a natural textile. Divide the clay with a wooden spatula to a thickness of 2 or 3 centimeters. Place the poultice leaving Clay in direct contact with the skin and maintain the (loosely) with a bandage. If the poultice should be applied to an irritated area, insert a light gauze between the clay and skin. Leave the poultice placed at least one hour. To remove, remove a maximum of clay, if necessary, humidifying and rinse the skin with warm water and dry with a cotton towel. Especially throw the clay after use because it will be responsible for various toxins, and wash the strips of fabric if one wishes to reuse.